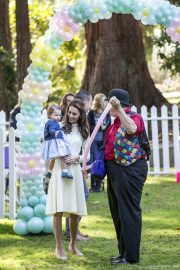 During the 2016 tour of Canada, the Duchess of Cambridge (Kate Middleton) attended a children’s garden party with her children. 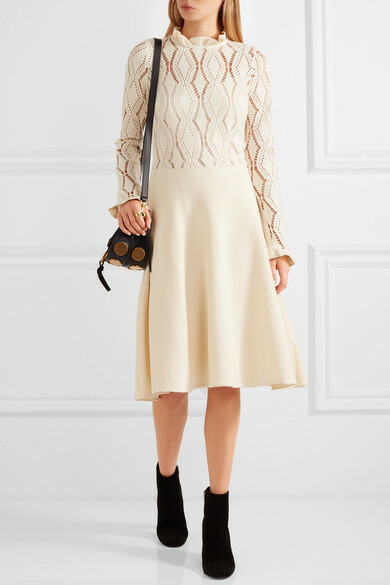 She supervised Prince George and Princess Charlotte while wearing this cream See by Chloé pointelle knit dress. 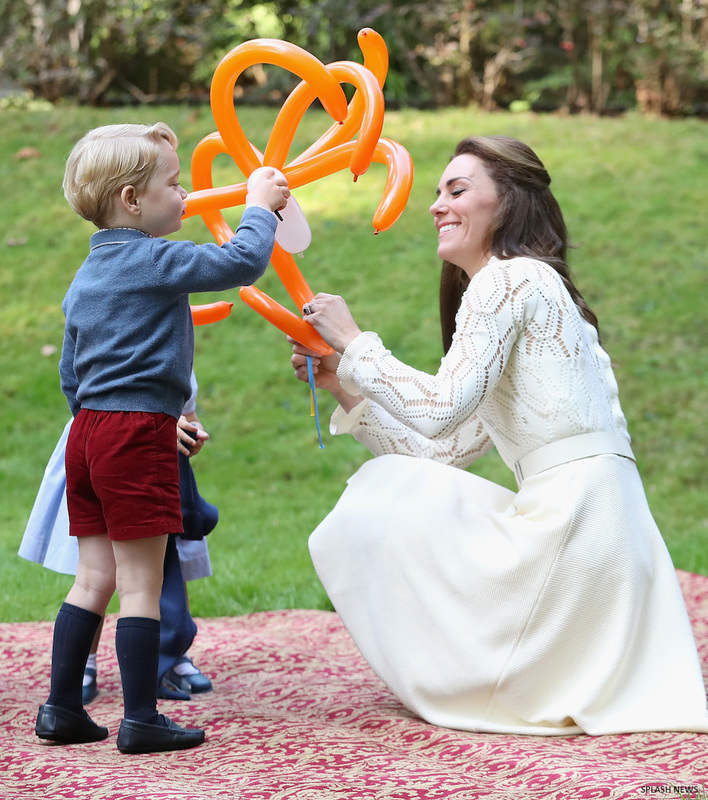 In May 2017, Kate chose the dress for a second children’s garden party; this time at Buckingham Palace. The cream coloured dress is made from a pointelle knit cotton mix fabric and has a fit and flare silhouette. It features a high ruffled neckline, flared cuffs, cut-out detailing, a softly pleated skirt and button fastenings on the back. The dress is from See by Chloé’s Fall 2016 collection. At the time of writing (20th August 2017), it is still available to buy from Saks Fifth Avenue for $460 USD (in limited sizes). If your size is not available, try eBay. 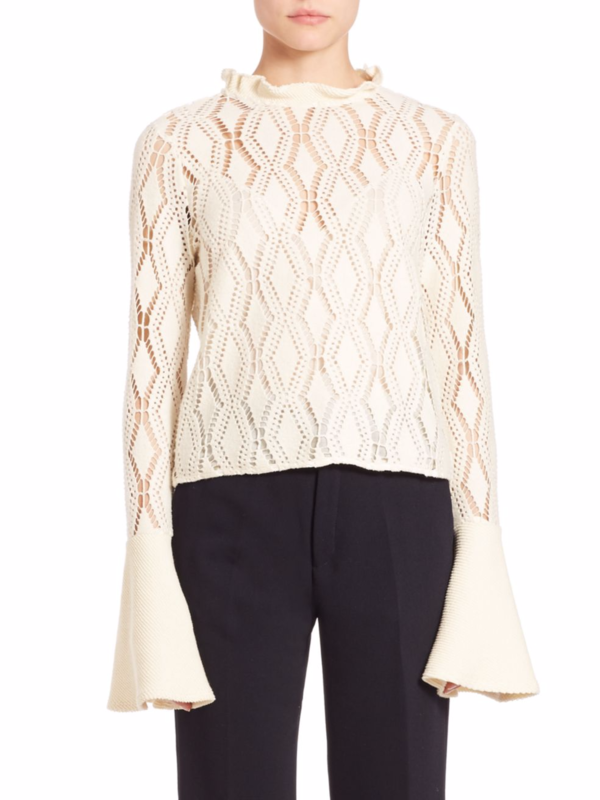 If dresses aren’t your thing, you’ll be pleased to know you can buy the top version at Saks Fifth Avenue too. It costs $260 USD. At the time of writing (20th August 2017), the top is available in all sizes.